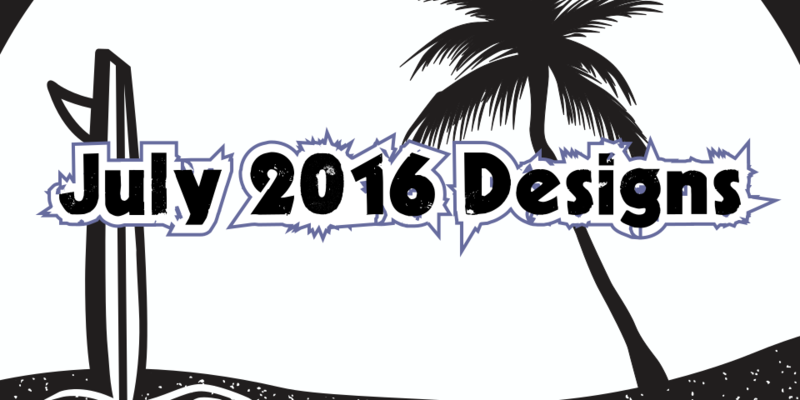 July 2016 Designs are vector artwork completed in mostly Inkscape and a little in CorelDRAW. The rope was created using the pattern along path feature in Inkscape which can be seen with SD 1st Annual Beach Party and Connor’s 50 Anniversary. Also been experimenting with the Bezier Curves tool – pen tool for Adobe Illustrator – focusing on artistic calligraphic strokes.